Even though I don't get a chance to have it on a daily basis, I am always on the lookout for a great place to have breakfast. I know it's considered the most important meal of the day, but when you're expected to be at the office by 10am everyday, it's pretty tough to make time for a morning meal. I've heard of Malcom's Place, because their burgers are supposed to be stuff of legend. Unfortunately, I haven't been able to try it just yet. When I was told that their sister restaurant, Malcom's Deli at the Fort, was serving a Breakfast menu for us to sample, there's no way I was going to say no to that! Malcom's Deli is a charming little place in ground floor of the Fairways Tower at The Fort, which is perfect is perfect because because it's on the way to my office. The wooden interiors give it a nice, Old European "Tavern" vibe, that to me, would be a great place to start my day. 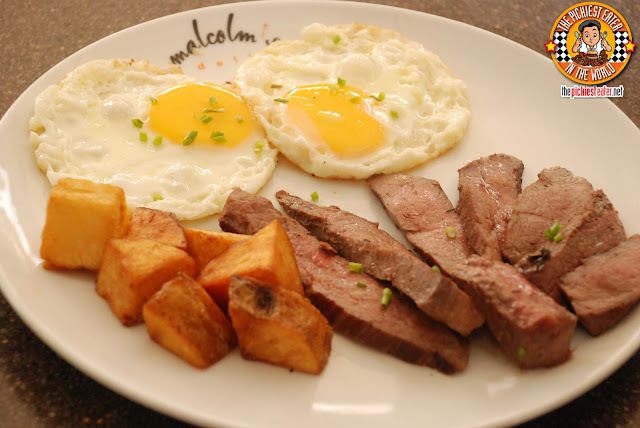 If you're the kind of person that likes to start their day with a light meal, just enough to fill up your belly, Malcom's offers a small breakfast buffet for only P250 pesos. The buffet includes a choice of choco or corn flakes..
and a nice selection of breads. 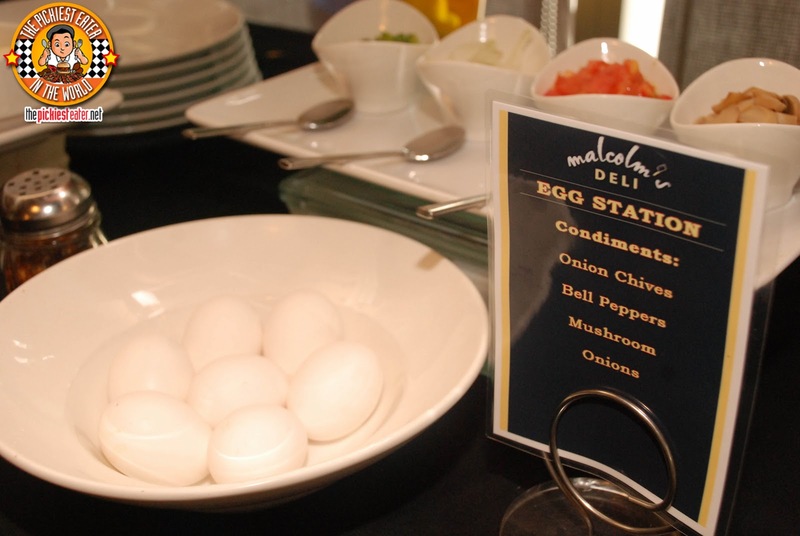 If you're a heavy eater (Guilty), and you enjoy the grains and eggs but they're not enough to sustain you throughout the day, you may choose to simply add P150 to whatever you ordered from the Breakfast Menu, and you can avail of the buffet. Pretty good deal in my opinion. We began the meal with the Malcom's Chicken Skin Crackling. Lemme tell ya.. This stuff put the "CRACK" in "CRACKLING". 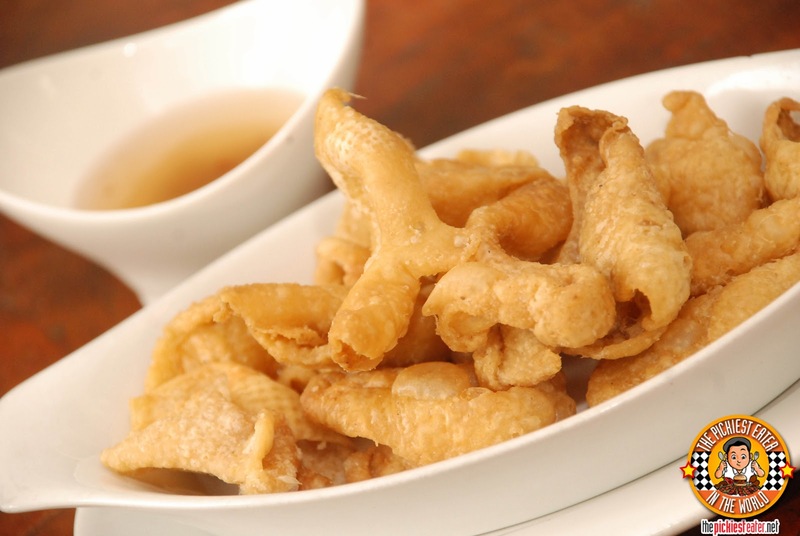 I'm addicted to chicken skin, and Maclom's version just reaffirmed that for me. A nice touch of saltiness, mixed with the sumptuous crunch of the natural flavor of the skin, made the side of vinegar that it came with totally unnecessary. 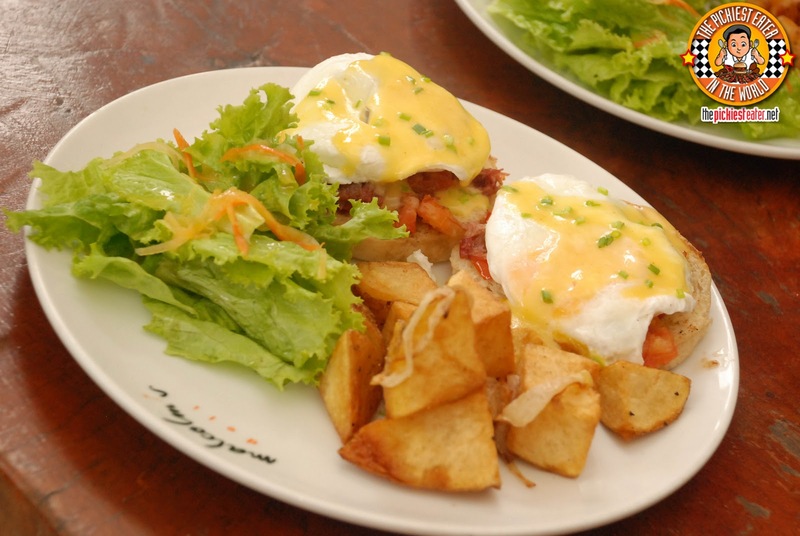 One of the more intriguing items on the Malcom's Deli breakfast menu is Irish Benedict (P300). Imagine a gorgeously toasted pan de sal, with an incredibly meaty pile of Kitayama Corned beef laid out on top. Then place a perfectly poached egg on top, drizzled with a rich hollandaise sauce. The side of country potatoes was the ideal companion for this hearty breakfast. Malcom's does their own take on the Eggs Benedict as well. 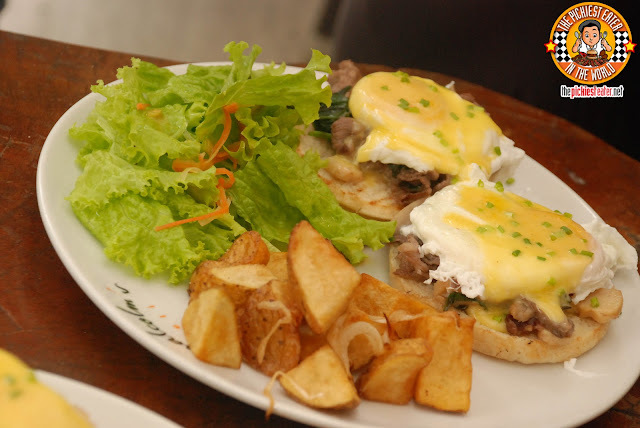 The Malcom's Benedict (P300) features a medley of spinach, mushrooms, and onions, mixed with sauteed Kitayama Wagyu Beef, with the poached egg and drizzling of Hollandaise sauce the cherry on top. Something you need to know about Malcom's is that, anything to do with their beef, is phenomenal (More on that later on). Knowing that, I ordered the Steak & Eggs (P550). The premium cut of Kitayama Wagyu Beef simply melted in my mouth, and the savoriness of the meat, coupled with the creaminess of the eggs, formed a marriage so perfect it was second only to mine and Rina's. Malcom's Deli puts a stamp on their breakfast menu, by adding a pancake dish that'll knock your socks off. The "Malcom's Stack" (P280) is three, thick yet oh-so-fluffy, buttermilk pancakes, piled on top of each other, with a side of berries, and topped off with a slice of butter that just melts into the pancake. A sprinkling of powdered sugar adds a touch of sweetness to it. 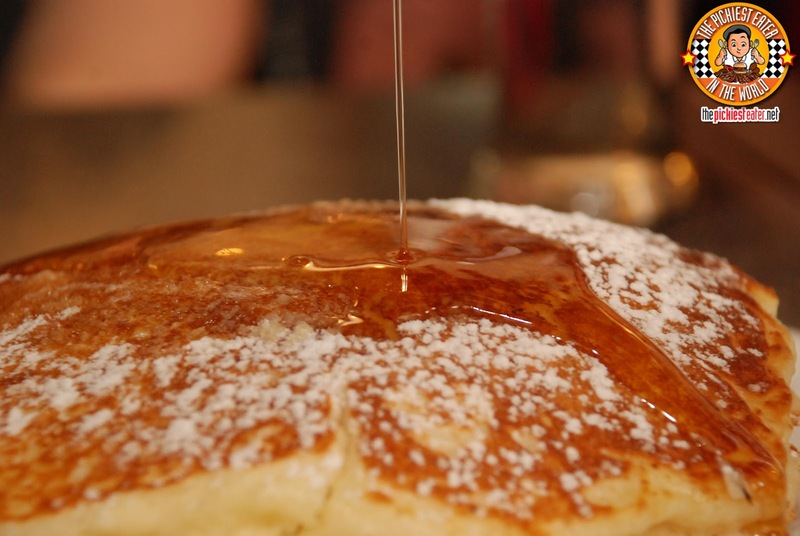 My pet peeve is when you pour the maple syrup on top of a pancake, and the pancake absorbs it, sort of like a sponge. This isn't the case here. The syrup spreads out, and coats the vastness of the thick pancakes. 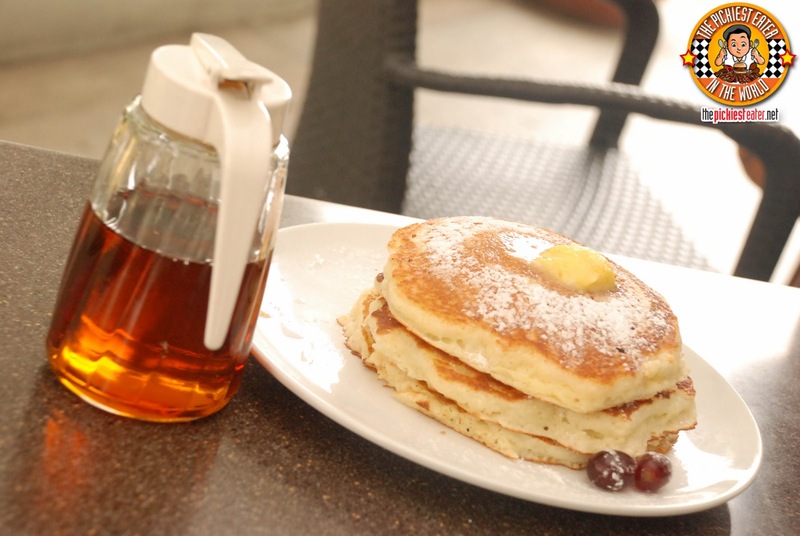 The thickness of the pancake adds to the unadorned charm of the dish, setting it apart from a lot of the other more high profile breakfast places in the metro. As delicious as everything was, perhaps what blew my mind to complete smithereens was a dish that isn't even on the menu. The Wagyu Adobo Flakes. I repeat.. WAGYU. ADOBO. FLAKES. This was actually developed by accident. As the chef's of Malcom's would make Beef stock, the meat from the bones that they would boil would fall to the bottom of their pot. Instead of throwing it out, one of their chefs, whose picture I would like to frame up on my living room wall, realized he could make something out of it. I am a huge fan of Adobo flakes, and this is perhaps the best I had ever tried. If it wasn't for the fact that this was brought out after I had demolished my Steak & Eggs, I sincerely believe that I could easily have polished off this entire serving all by myself. Despite just finishing a plate of steak, I did some serious damage to this, and I ordered extra garlic rice to boot! Yes, it was THAT awesome. Malcom's Deli also has an array of Kitayama Wagyu steaks and sausages to choose from. According to the Kitayama Meatshop page, The cows are "sired by selected bulls from champion lineages, only the best cattle proceed into the company feedlot where they are maintained on grains and nutritious concentrates--for 600 days. No hormones, no enhancers, no shortcuts. All natural from paddock to plate." 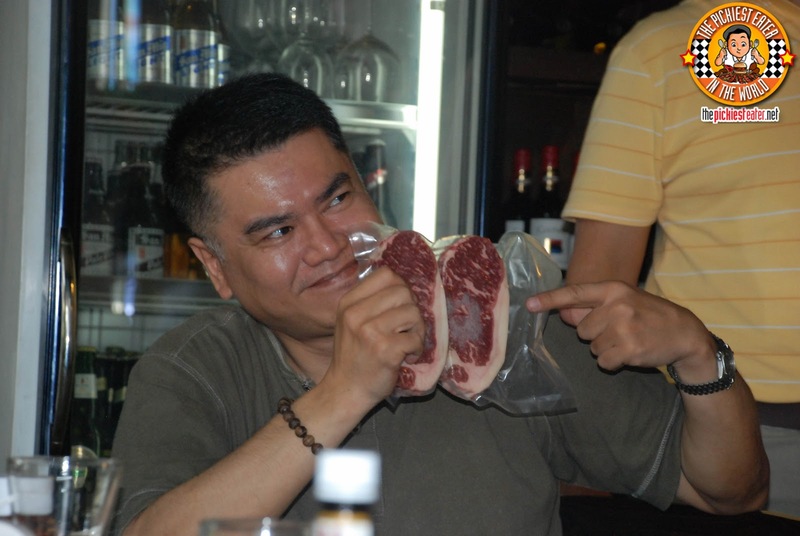 The Dude4Food was the big winner of the day, as he got to take home two stunning Grade 6 Wagyu Steaks! I tried to convince him that Rain wasn't feeling so well that day, and a Grade 6 Wagyu steak might be just what the doctor ordered, but unfortunately, he wasn't buying it. 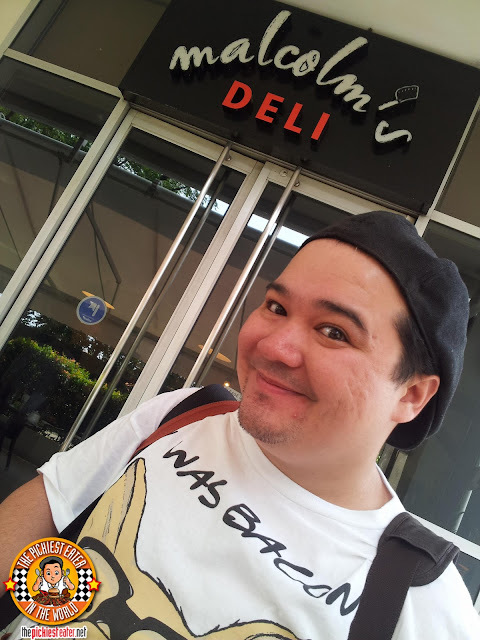 Nonetheless, I'm definitely going back to Malcom's Deli soon, not just for breakfast, but to try their other items as well. I was happy to find out that the Kitayama Meat shop was just a couple of blocks away from my office.. Did you know they have Wagyu Sausages and.. Wait for it... BONE MARROW SAUSAGES?? 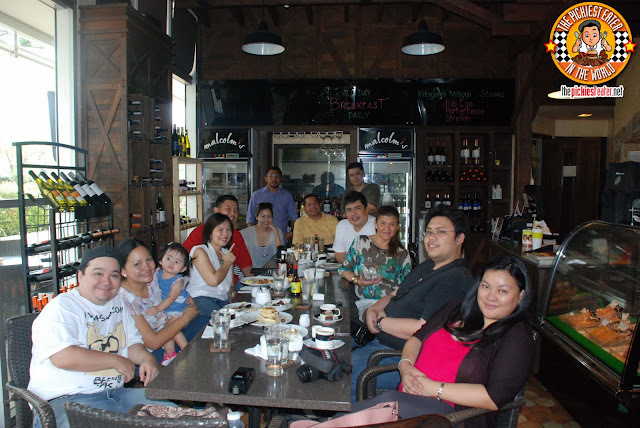 Nonetheless, much thanks to our gracious hosts for the day, Ms. Vicky Lauchengco, (Tito?) Norman Zamora, and Jerome Mitra. Ms. Vicky took special care of baby Rain as well, making sure she had more than enough fruits for lunch! Thank you! 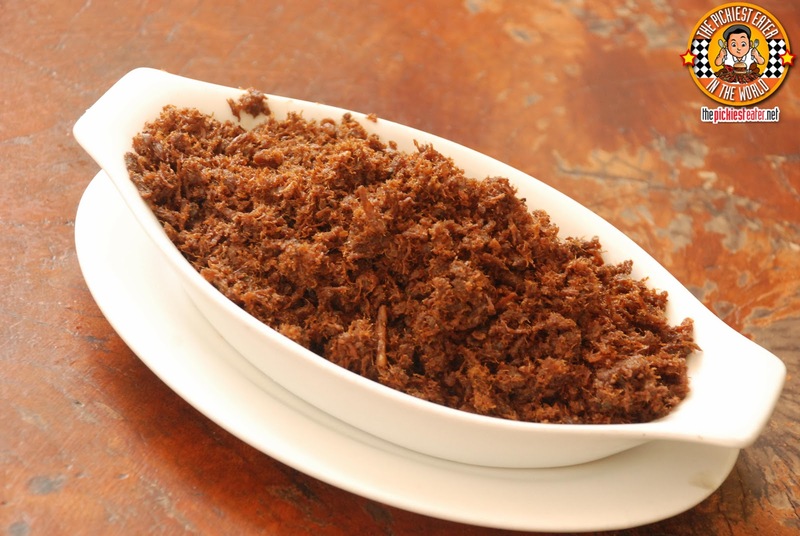 Wagyu adobo flakes looks epic!!! the wagyu flakes were absolutely fantastic!! 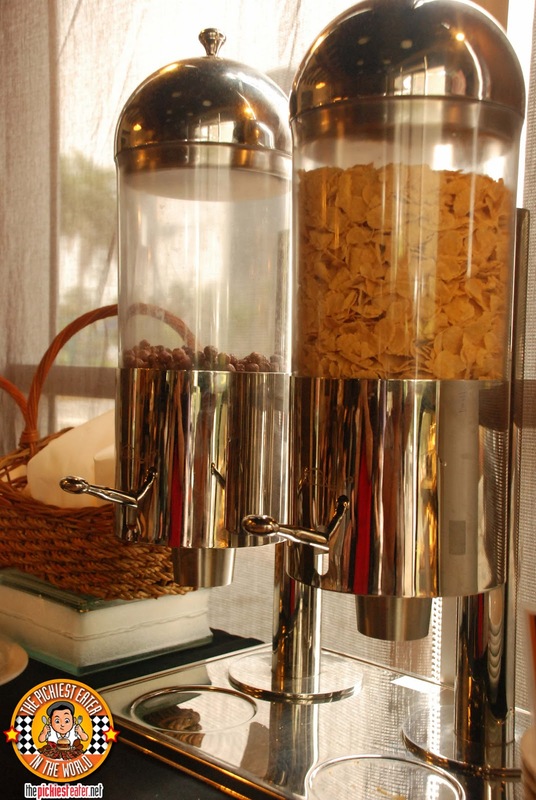 yung breakfast buffet nila is cereals and eggs lang? did i read it right sir? 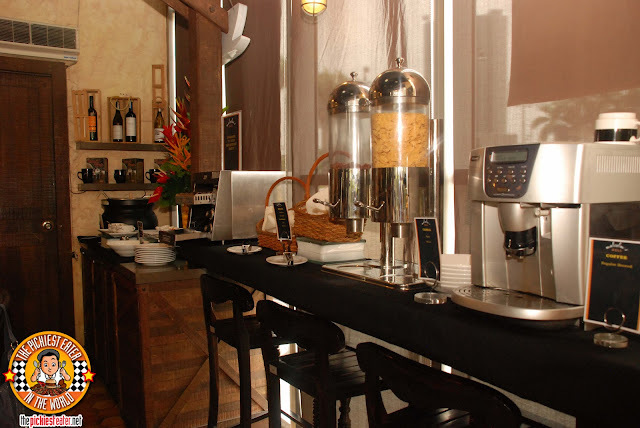 Cereals, Omelet station, and a selection of breads.. Di ko mahanap ang pix ng bread hehe..
Do they do the Eggs Benedict without the beef for a veggie option? Though looks a little kulang on the Hollandaise for me. Shem and my dad can have the steak! I'm not sure, but they're actually really quite accomodating, i'm certain they'd be more than willing to whip something up upon request! I love Malcolm's! The first time my partner and I ate here we got the irish and malcolm's benedict and got one piece each so we can taste both variants. We also got their french toast, which was just okay. Next time I was here with a friend, we shared an irish benedict and a two piece pancake, and let me tell you THEIR PANCAKES ARE THE BEST!!! Far, far better than that overrated four-lettered franchise also in BGC whose pancakes taste like it came out of the box and where the service is HORRENDOUS!!!! Mas mura pa dito sa Malcolm's. I agree with your comment, Richie, medyo mahal nga lang yung mini breakfast buffet nila. I'd rather get their other breakfast items than the buffet.